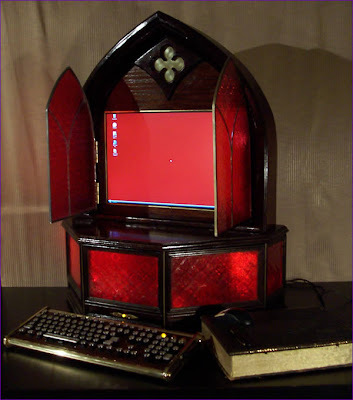 One of Datamancer's latest projects, "The Archbishop"
Watercooled Steampunk PC mod by Korko_czong, more info here (polish). 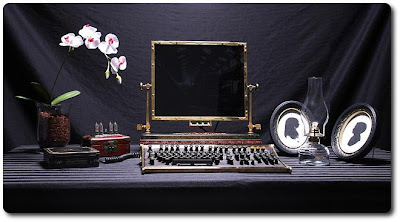 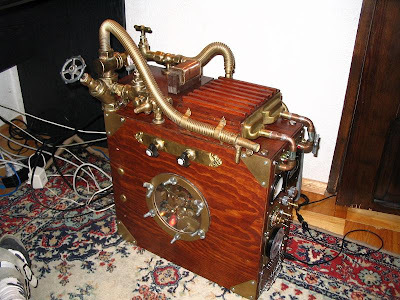 PC made by Dave Veloz, more info on Steampunk Workshop. 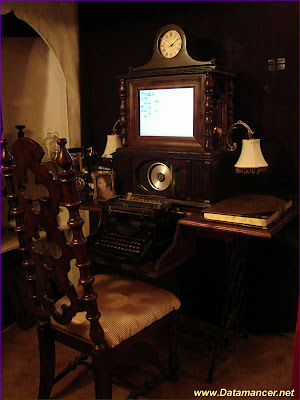 Also Datamancer's project called "The Nagy Magical-Movable-TypePixello-Dynamotronic Computational Engine"